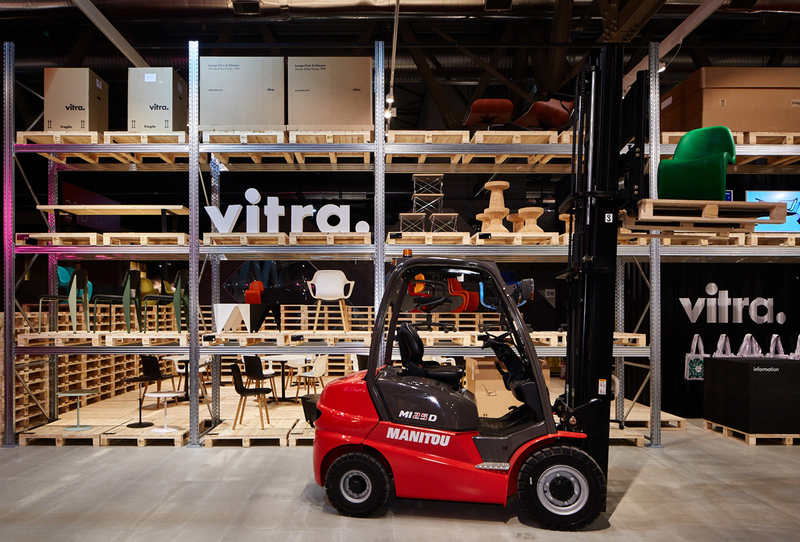 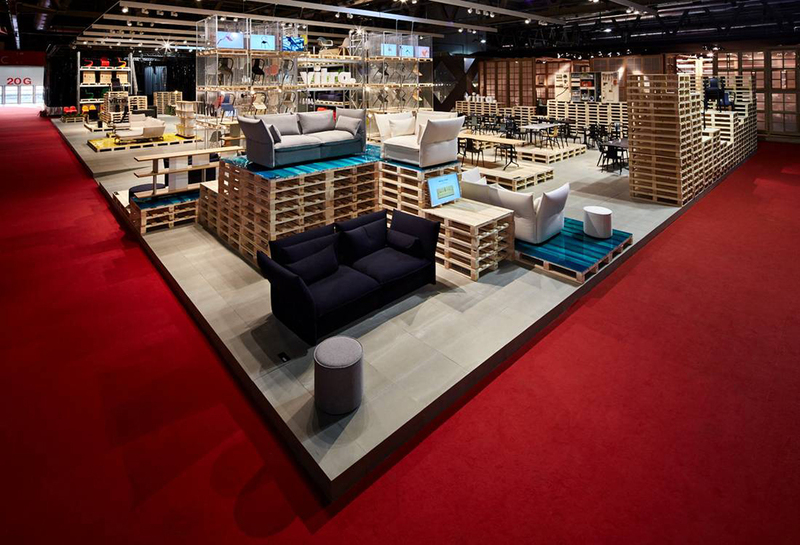 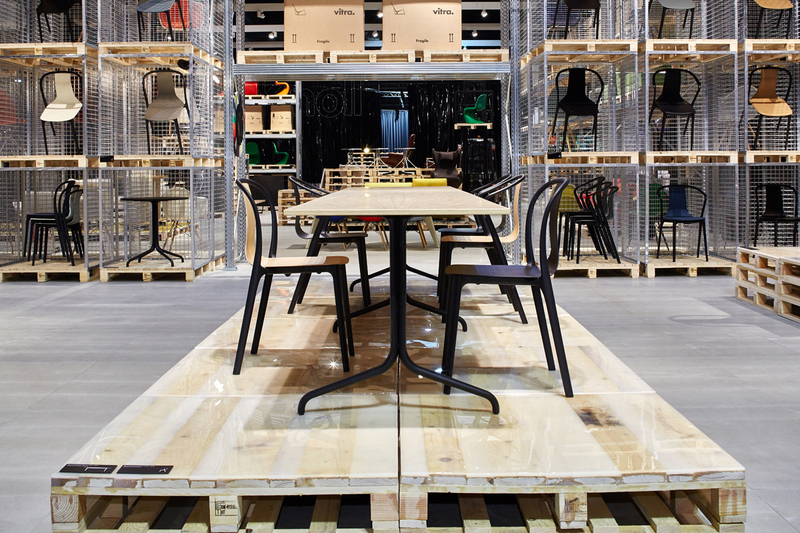 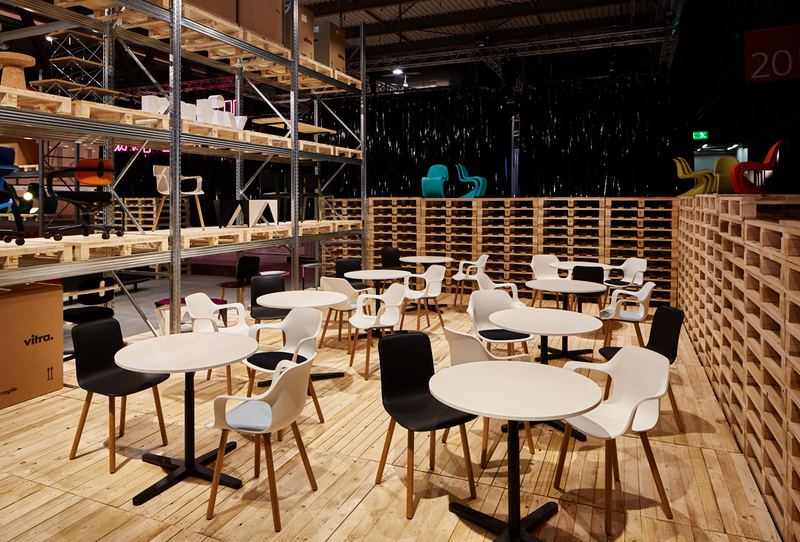 We designed an exhibition space for Vitra at the Salone Internazionale del Mobile 2015. 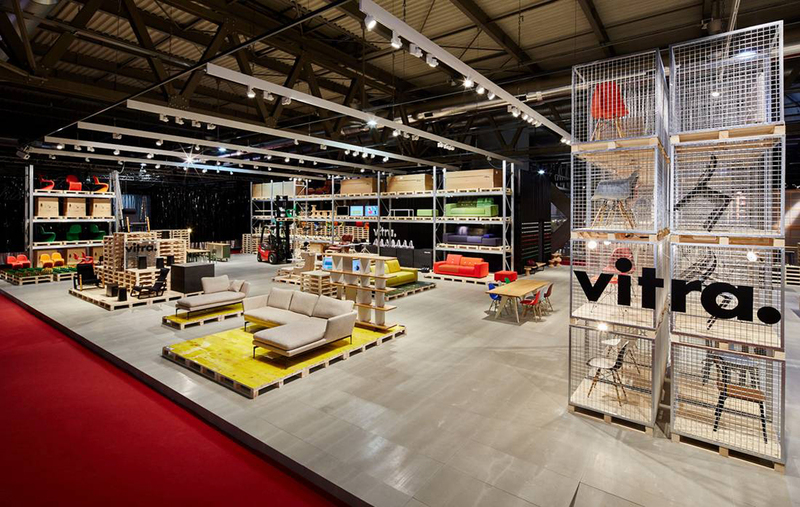 We composed the space by stacking wooden pallets to express “repetition”, which is inspired from Vitra’s collection, and partially cast epoxy resin to create distinctive surface finish. 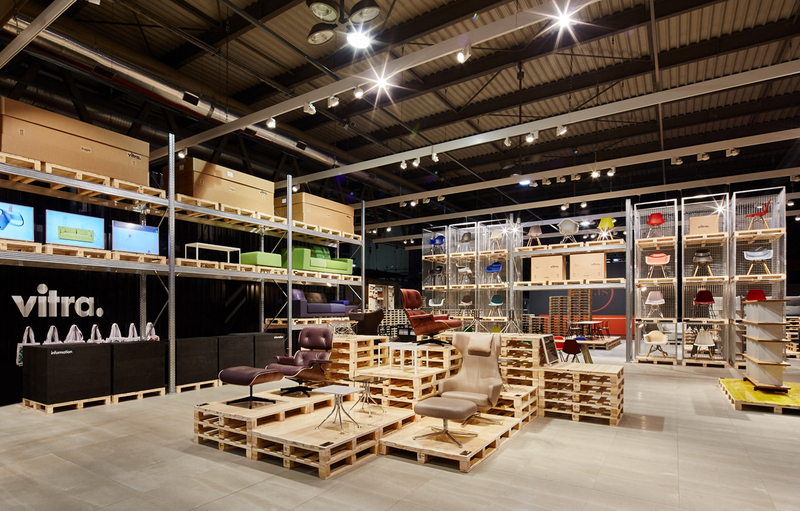 We set spatial zones by placing exhibition stands and walls composed of pallet stacks to create an open space like a piazza. 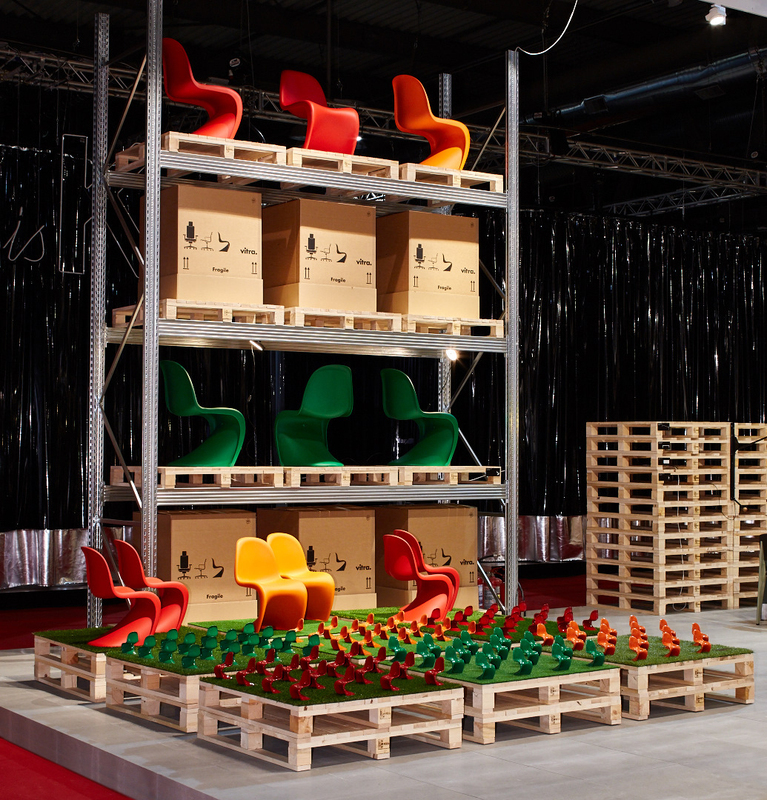 Conventional exhibitions styles, such as enclosure style, gallery style, and white-cube style, impose viewers to see from preset points of view. 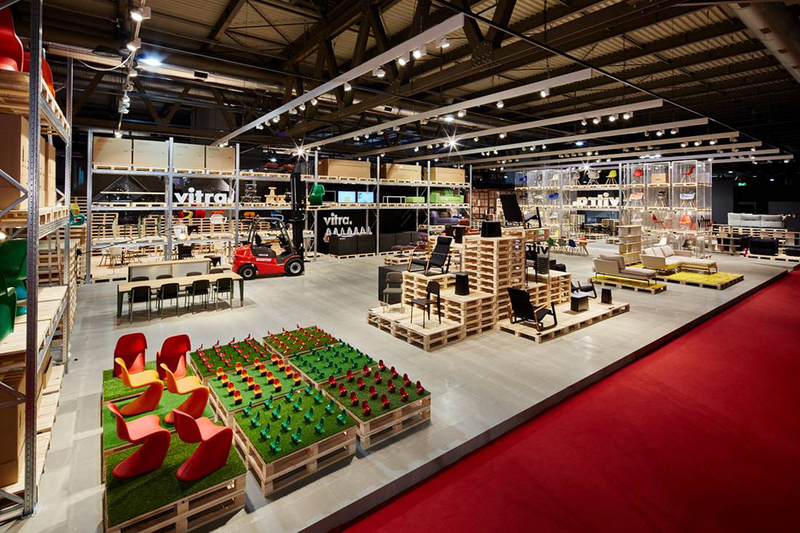 On the contrary, this exhibition space allows each viewer to select his/her own style of viewing, which communicates transformation of Vitra’s stance. 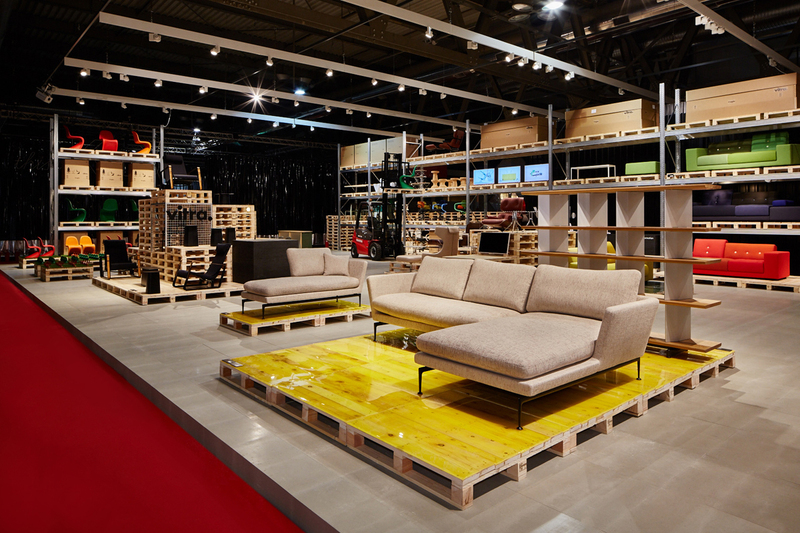 Spatial planning is based on 1 meter x 1meter module, a standard module of wood pallets in Japan, to provide for flexible layouts. 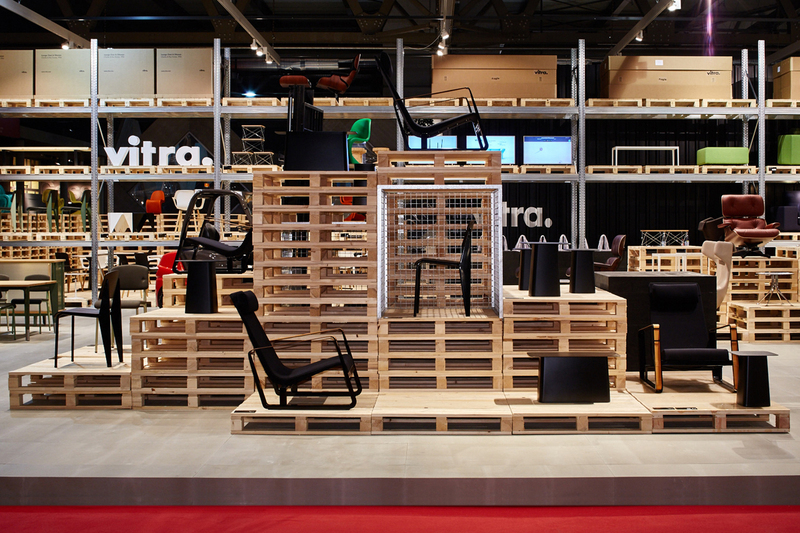 We adopted a DIY style, in which each designer can experiment and develop the best way to display his/her product.